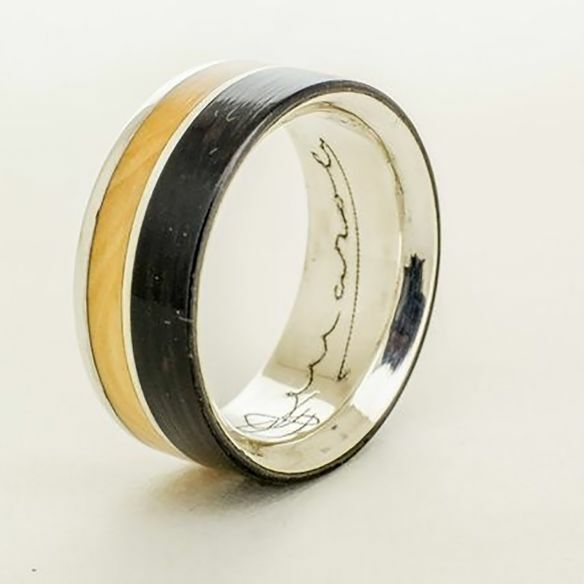 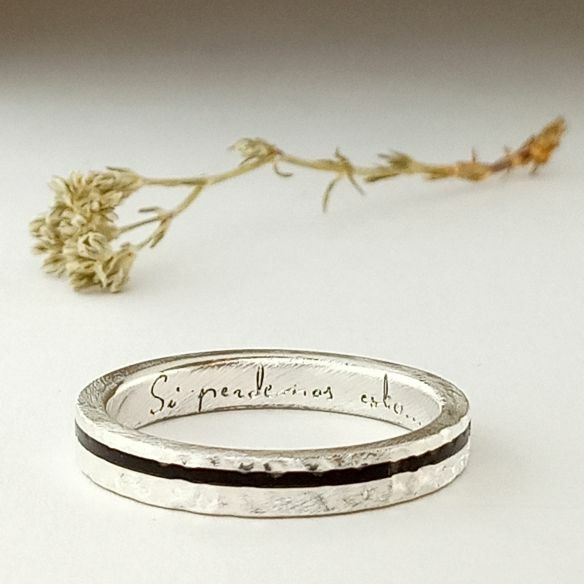 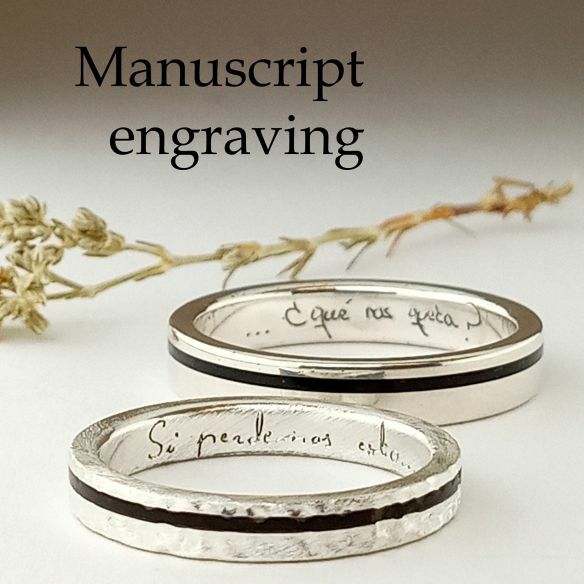 This article consists of the engraving of a ring with the copy of a signature or a handwritten phrase. 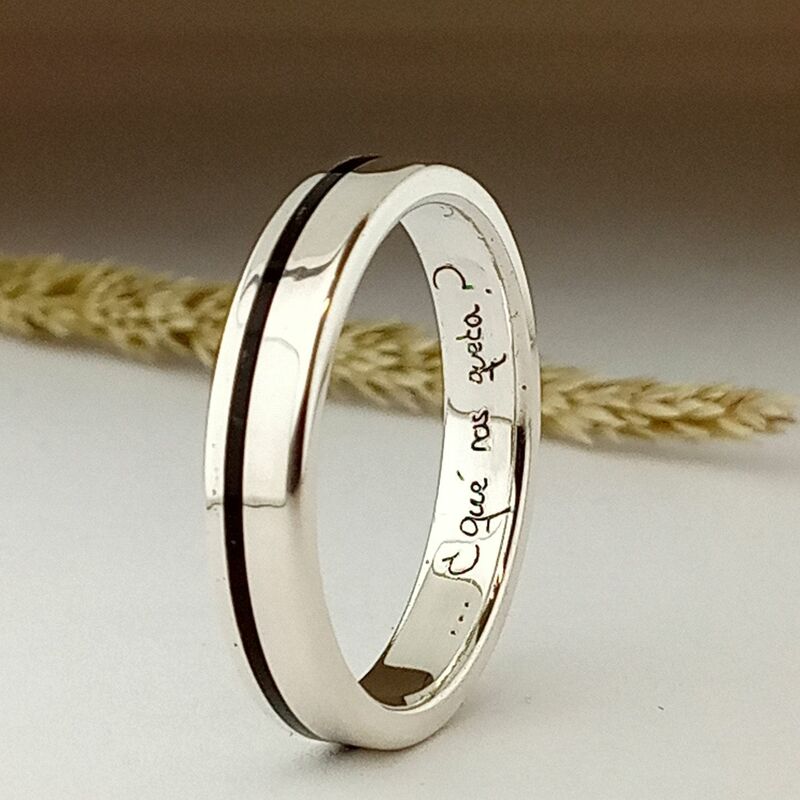 The engraving is only done in the metal, not in the wood. Choose your type of letter in the last image and leave me a message with the corresponding number.